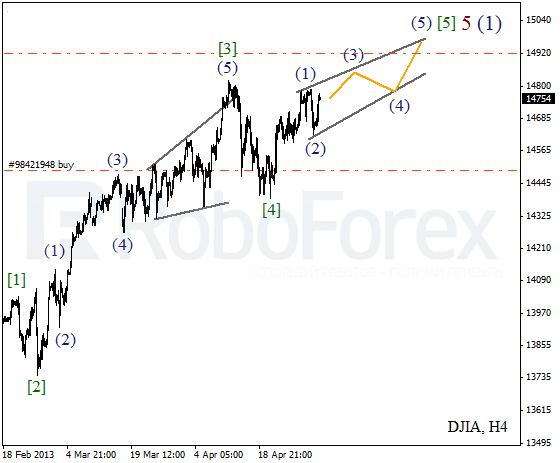 The Index continues forming diagonal triangle pattern inside the fifth wave. On the minor wave level, the price is forming wave (3). Most likely, the instrument will reach a new historic maximum during the day. 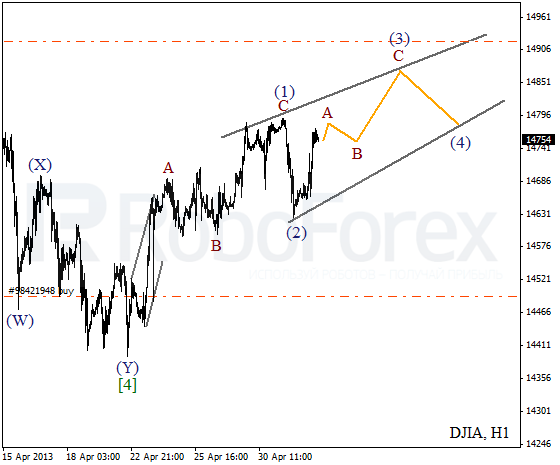 As we can see at the H1 chart, wave 2 turned out to be quite short. 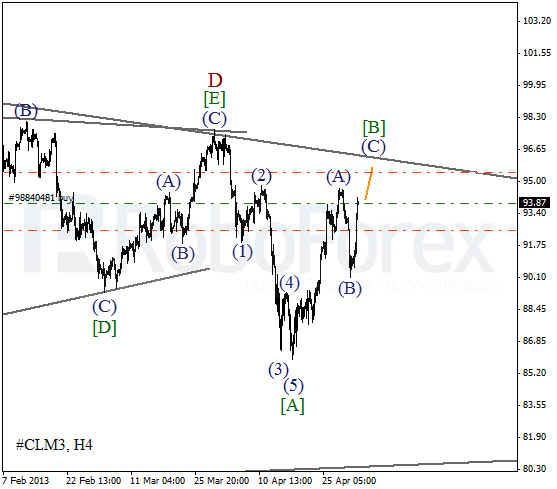 It looks like the third wave is going to take the form of zigzag pattern with wave A inside it. Later the instrument is expected to complete wave B and start moving upwards. Well, after all Oil continued forming wave [B]. We may assume that the current correction is taking the form of zigzag pattern. During the next several days the instrument is expected to break a local maximum and reach the upper border of triangle pattern. More detailed wave structure is shown on the H1 chart. 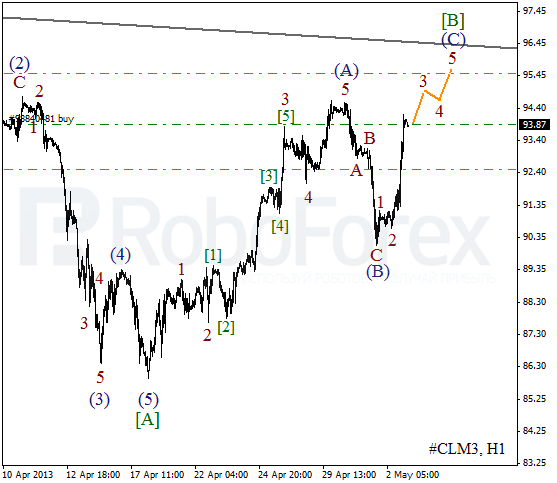 After completing zigzag pattern inside wave [B], the price made a reverse upwards. During a correction I opened a buy order with the target at the level of $95.50 per barrel of Light Sweet.